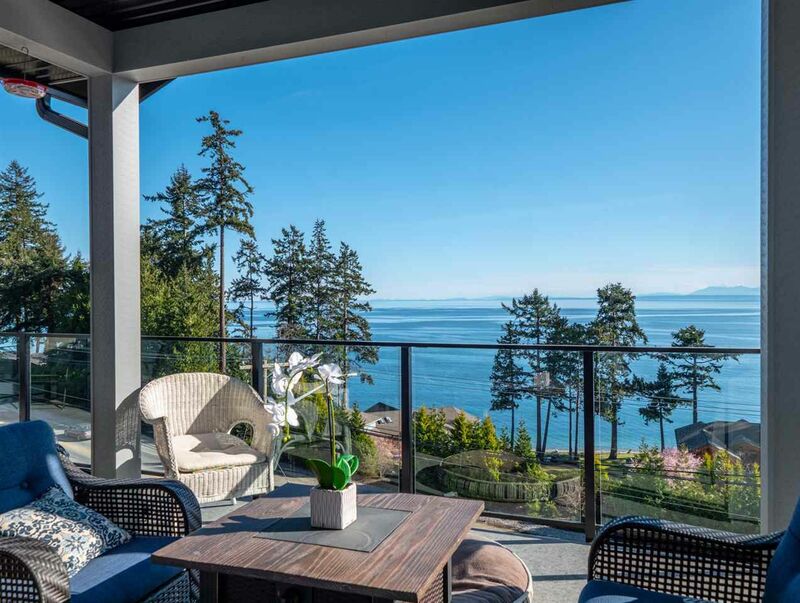 Spectacular, open south facing view towards Vancouver Island. Level entry rancher features a full walkout lower level with 9 foot ceilings. Perfect for retirees or families. Short walk to the beach, shopping, recreation centre, library and restaurants. Open concept style offers stunning views from main living areas. Quartz countertops, hot water on demand and many other extras as well as over 3 years homeowners warranty left. Call now to view this beautiful custom built home.